Ever felt the urge to retreat from all your responsibilities and let the world go on without you? Are you overworked, overwhelmed or over committed? We are made to need rest and connection with God through prayer… but busy seasons can prevent us from getting the down time we need. 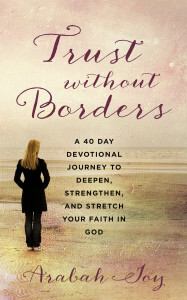 I love how Jesus would “often withdrew to lonely places and pray.” (Luke 5:16). And He was busy!! It’s okay…even essential… to drown out the noise of a demanding and hectic world and simply meet with God. The balance we crave can only be restored with fellowship from the Creator, the one who loves us despite our bad attitudes and rushed frenzy. While it’s probably impossible to clear your schedule for a week to catch your breath, there are other ways we can press pause on the chaos. 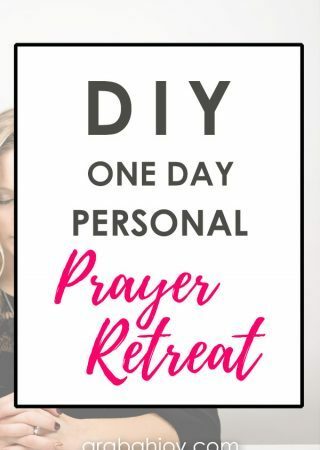 One idea I love is the DIY One – Day Personal Prayer Retreat. While the process is simple, the effects can ripple into all aspects of life and lead to lasting change. 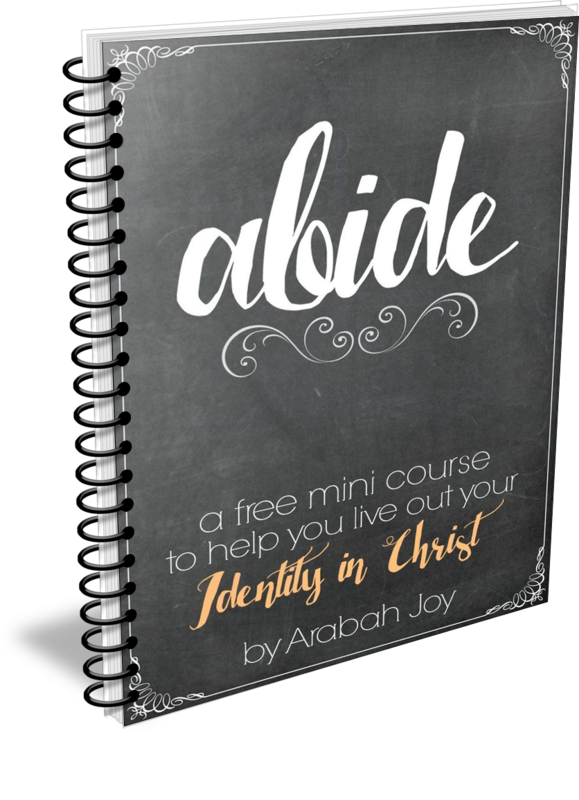 If your soul is like mine, craving fellowship with the One True God, then a personal retreat will help you regain focus and leave you refreshed. So often we’re duped and believe the lie that the more we accomplish, the better woman we are to all in our path. Another common misconception is that it’s selfish for a woman to seek solitude and focus on herself. But friend, you’re not superwoman, and you were never designed to carry the burdens of life alone. Even Jesus sought solitude from the masses and spent time in prayer. It’s noted several times throughout Scripture that Jesus took time out of His busy schedule to commune with God. Shouldn’t you, too? Where should I plan my retreat? Simply carve out a day or several hours by yourself to spend quietly before the Lord. When choosing a venue for your day of reflection, consider a retreat center, park, hotel or even a quiet room in a friend or family’s home. Someplace simple, quiet, convenient and cost-effective will be the perfect venue to still your heart and focus on the Lord. What should I do on my retreat? Since this is your retreat, you can map out your day however you wish! Don’t be afraid to sit in solitude and let the Holy Spirit direct your time. If you prefer a more structured time, create a loose schedule of your favorite retreat activities. FREEBIE ALERT! 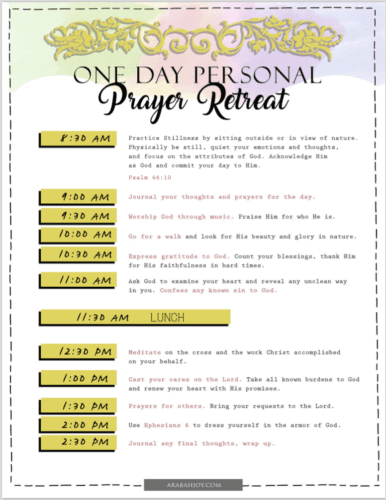 Download our FREE One-Day Spiritual Retreat Schedule Here. Is it best to “unplug”? Since the goal of the retreat is to get away from daily life and the trappings of this world, I recommend that you do your best to have an unplugged day. If you prefer to bring your phone in case of an emergency, leave it on vibrate and practice the self-control needed to stay off social media. Also, if you love to write, bringing a laptop maybe something to consider, but again, try to stay off social media. You’ll appreciate a day spent completely focused on the Lord without distractions. What should I expect at the end of the day? Hopefully by the time you’ve finished your retreat, you have had the chance to rest in the presence of the Lord and focus your heart on Him. While there’s no way to predict how your time will go, keeping realistic expectations before you begin will guard your heart if you don’t have a “mountain top” experience. But if at the end of the day, your goal should be to pray and leave spiritually refreshed. 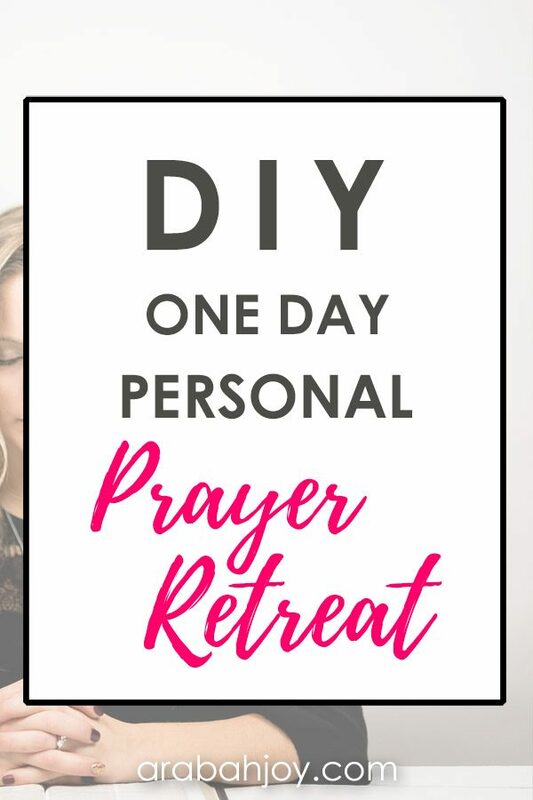 I challenge you to grab your calendar and in the next 24 hours, schedule a DIY One Day Personal Prayer Retreat within the next month. There’s no better gift to your family or to yourself than a refreshed soul and a renewed spirit! Enjoy! 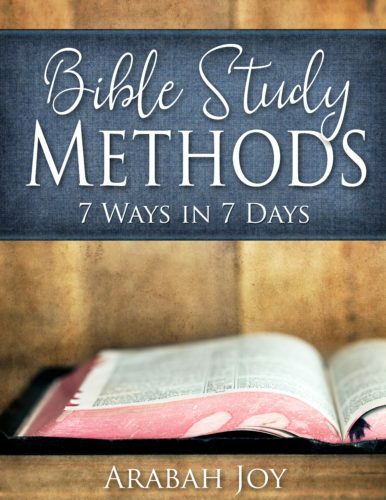 Use this list of 25 Scriptures to Pray on your retreat. 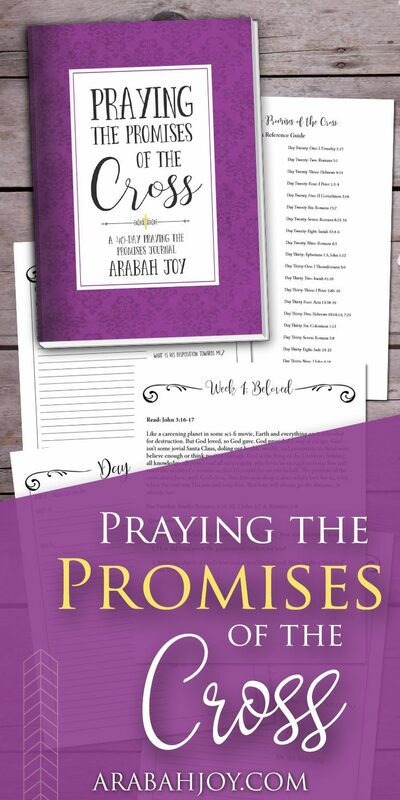 Praying the Promises of God is also a great way to start your prayer retreat. How do you renew your spiritual life during a busy season? What would be your favorite aspects of a personal retreat? Love this idea and the freebie! Thanks!! I love this idea! It’s something I’ve not done before, though I do try to spend some time with the Lord each day – either first thing in the morning before the kids get up, or in the afternoon when they’re napping. It’s been a wonderful thing for spiritual growth, but an entire day would be even better!